Property 7: Coastal Comfort, Breathtaking View! Property 10: Beach House with gorgeous view and all amenities!! El Dorado Ranch Resort Ac,Golf,Pools,Wifi,PrivBeach Sleeps 6 plus kids under 14. Property 12: El Dorado Ranch Resort Ac,Golf,Pools,Wifi,PrivBeach Sleeps 6 plus kids under 14. Property 15: 2 Bedroom, 1 bath one block to the best beach and a short walk to the Malecon. Property 16: Christy's Villa #2- Cozy Studio , Perfect for Couple!! Baja Oceanfront Mexican Charm- listen to the waves from every room! Property 17: Baja Oceanfront Mexican Charm- listen to the waves from every room! Property 18: GORGEOUS SEA & MOUNTAIN VIEWS. NEAR TOWN & BEACHES! FULLY FURNISHED 2 BR CONDO! Property 20: Stylish oceanfront home with spectacular views! Property 23: Beachfront with gorgeous Mexican flair and color. What you want in Mexico! 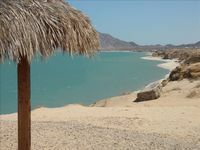 Property 24: Breathtaking Ocean view in BAJA! Property 36: Beautiful Ocean Getaway! Property 37: Villa Baja Vista at Playa de Oro - 900 Feet to the Beach! Tranquil Home With Beautiful Views In The Safety Of El Dorado Ranch Community. Property 39: Tranquil Home With Beautiful Views In The Safety Of El Dorado Ranch Community. Property 44: 9th Floor Oceanfront Luxury!!! Breathtaking Views For Miles!!! Beautiful elegant Baja Mexico beach getaway for you and your pet. 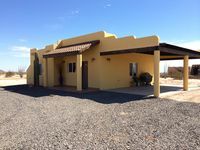 Property 45: Beautiful elegant Baja Mexico beach getaway for you and your pet. Property 50: Las Gaviotas Magic! 2 bed, 2 bath + den - Romantic - Wi-Fi - Views!